Our Dove Mountain Home Sales July 2016 video update provides a quick review on Single Family Residence (SFR) sales in this growing area. Just click the link below to view the July Dove Mountain home sales activity. Play Kim’s Dove Mountain Home Sales July 2016 Video Update – NOW! 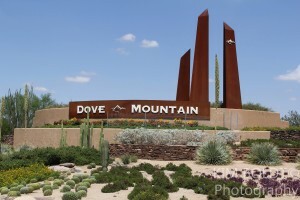 Dove Mountain Arizona covers a vast 6,200 acres. Subdivisions offer homes for first time home buyers to the luxury homes at The Gallery, Canyon Pass and Ritz Carlton Residences. There is something for every one in Dove Mountain Arizona. Our Dove Mountain home sales report is on of eight monthly updates on popular communities plus horse properties in greater Tuson, AZ. Furthermore, this update provides insight on resale home activity in this rapidly growing area just north of Tucson AZ. Due to the broad range of homes prices and abundance of new homes being built, Dove Mountain July be just what you are looking for.